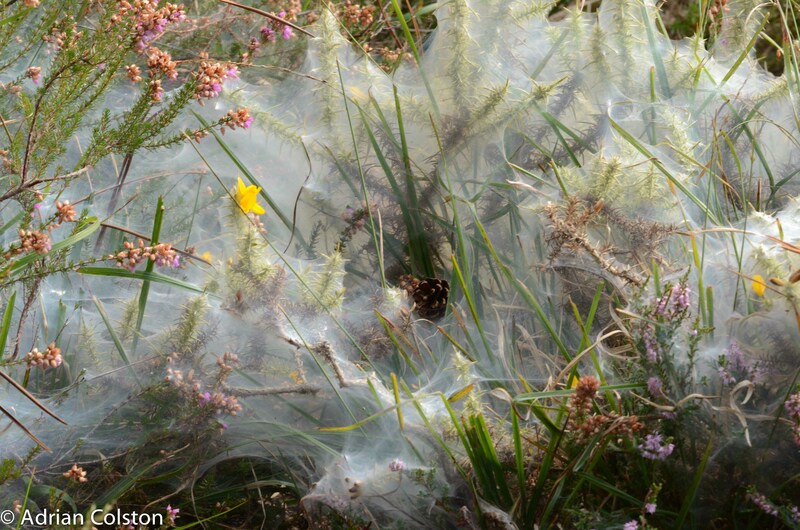 One of the common sights on our heathlands this autumn has been gorse bushes enveloped in huge gossamer webs. There are lots on Piddledown Common and below Castle Drogo on the heath in the Teign Valley for example. These webs are made by tiny animals known as gorse spider mites – each mite is bright red and is less than 0.5mm in length but they live in large colonies. 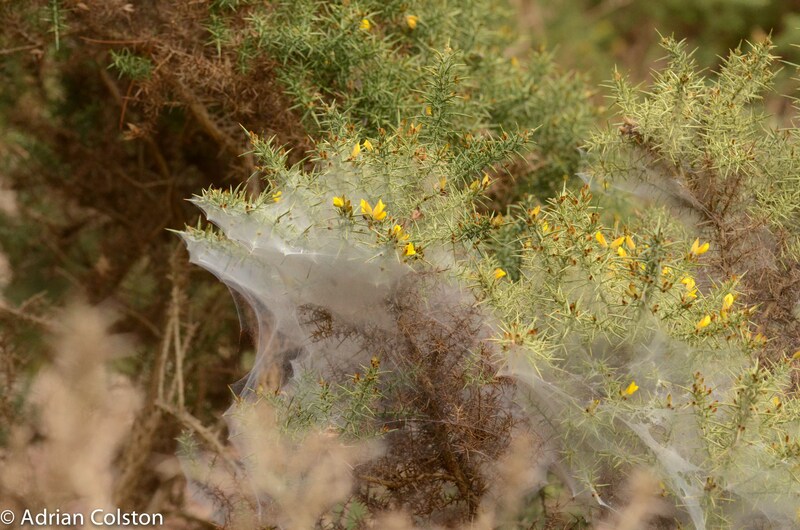 This entry was posted in Dartmoor, Dartmoor wildlife, Uncategorized and tagged Gorse, Gorse spider mites, National Trust, Piddledown Common, Teign Valley. Bookmark the permalink. Aha! Been trying to identify the spider for ages. A couple of the webs I’ve seen on Gibbet Hill (Blackdown) are gelatinous at the bottom, but of the same type. One I found is over 18″ in length and a foot high. Beautiful. Do you know were to procure some mites?